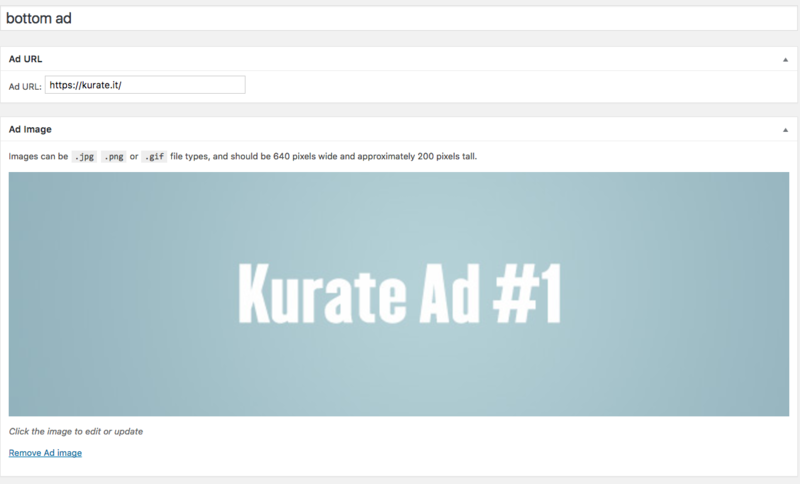 You will need to have purchased the Kurate.It Self-Hosted Ads add-on to appear in your plugins. If you did not purchase the add on, you will need to upgrade to the Kreate Plus plan. 2. Navigate to ads section of Kurate. Note: for optimum performance, your ad size should be 640 pixels wide and around 200 pixels tall. 3. Choose where you want the add to appear. 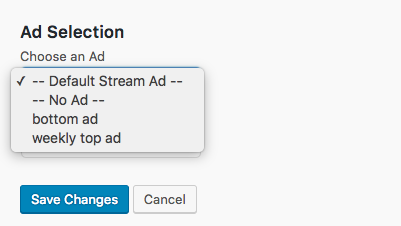 If you want it to appear on all emails in a stream, connect the ad to the stream. Note: if you do not select an add, the email will not show an ad and the content will move up on the email. If you only want an add at the top or the bottom of the email, leave the one of the options blank.